Another day, another tweak. CarBridge brings the iPhone experience to your car. Download this amazing NGXPlay alternative for your iPhone below. CarBridge vs NGXPlay – Which is the better CarPlay tweak? By default, only a select few apps are compatible with CarPlay. 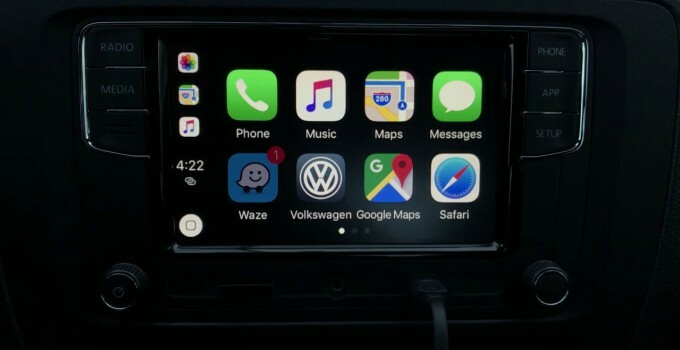 Apple limits the number of apps that can be used with CarPlay for safety reasons. This new tweak lets you remove this limitation and make your car truly your own. 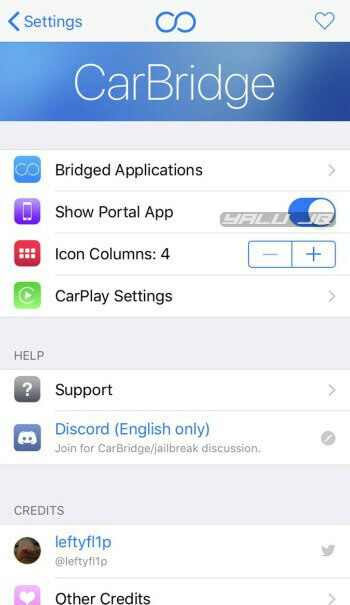 CarBridge Cydia tweak loads any app from your iPhone onto your CarPlay touchscreen head-unit. It is developed by tweak developer Alex Stich aka leftyfl1p. It also allows you to load CarPlay-compatible apps in full-screen mode by disabling their CarPlay section. Here’s a video demonstration of this amazing tweak. Once you install it on your iPhone, you can start “bridging” your iOS apps to CarPlay. Open the Settings app, go to CarBridge > Bridged Applications and toggle on the apps that you want to bridge. Be sure to select map apps or other apps that won’t distract you while you drive. Please stay away from apps such as Netflix, YouTube, etc. Apple doesn’t allow movie apps in cars for your own benefit. The Portal app lets you mirror your iPhone’s display and control it with your touchscreen unit. Other settings will let you customize the look and feel of your dashboard. Those who are well acquainted with NGXPlay already know that it simply “ports” or “mirrors” your iPhone screen onto a CarPlay unit. As opposed to NGXPlay, CarBridge actually runs apps on your CarPlay unit, rather than just mirroring them. Furthermore, it also brings several additional features and options that are missing from NGXPlay. The developer also has his own private Discord server where users can report bugs and glitches. All of these features make CarBridge the ideal CarPlay tweak. All things considered, NGXPlay might still appeal to some users as it is totally free to use and install on your iPhone. CarBridge really bridges the gap between your smartphone and your car. If you happen to own a CarPlay-compatible car and a jailbroken iPhone, you just can’t miss this tweak! Highly recommended. CarBridge is available for download on the Chariz Pay platform here for $4.99. It is compatible with iOS 10-11.4 Beta 3. Remember, you have to have a jailbreak in order to run this tweak on your smartphone. It relies on Cydia Substrate/Substitute to inject the tweak files in the stock operating system. If you are looking for a “no jailbreak” alternative, you will only end up being disappointed. Netflix is not working as of right now due to its built-in DRM system, not because of a bug in CarBridge. It lets you watch adverts but not movies or tv shows. Hopefully, someone will release a Flex patch to bypass Netflix’s security somewhere down the line. Map applications like Waze and Google Maps will work better when your iPhone is unlocked. To bypass this issue, you can create an Activator action to disable the auto-lock feature once you connect your iPhone to a CarPlay unit. Alternatively, you can disable auto-lock with USB connection instead of a CarPlay connection. CarPlay apps possess the ability to override other CarPlay apps. If you open a non-CarPlay app on your iPhone, it will not override the app currently running on your dashboard. Check out our Facebook and Twitter pages for more jailbreak tweaks and releases. Sorry, it is not compatible with iOS 12.1.4. Yes, that’s correct. It will not work without jailbreaking. Hi i want To USe iT on my iPhone with iOS 12.1.4. 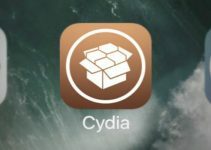 I tried to Jailbreak iT but i never Got the full cydia features.where can i Find It? Sorry, that’s not possible. iOS 12.1.4 doesn’t have a jailbreak yet. You must have a device running iOS 12.1.2 or below to install this tweak. What can i do ? I have carbridge on my phone version 12.1.1 . I select the app that i want ( youtube ) but when i connect the apple car play nothing appears . What can i do ? I have carbridge on my phone i select the app that i want ( youtube ) but when i connect the apple car play nothing appears . You can’t use it without jailbreaking your device. That’s not possible since that version doesn’t have a jailbreak. I’m on jailbroken 11.2.6 . Purchased carbridge and tried to open on Cydia like advised, but package not present/ available. Tell me please what to do. Did you add the repository of the developer to Cydia? If not, go to Sources, tap Edit and then add the URL of the repository given above. You can’t install it without jailbreak. Sorry, that version is not supported. Just install AppList Cydia tweak from BigBoss repo. Try contacting the developer on Twitter (@leftyfl1p). the tweak crashes and dont stop to respring and i dont have anemone.